Sarah was driving and we were returning back home. Sitting on the passenger seat, I was trying to find the name of the song I wanted to listen. I asked – I am trying to find the song that goes like this – “…like the good old days…” but I am not able to find the right one. Within a few seconds my 10 year old daughter says from behind, try searching for “Stressed Out”. She was right and helped me the song I was looking for. I said, “Thank you, sweetheart!” I play it in the car and we are listening to nice music on our way back home. In the meantime, Sarah is asking our kiddo, When did you listen to this song? and she is getting stressed out…. Yes, budgets could stress you out; budgets stress out a lot of people, but it doesn’t need to be that way. This post is a continuation of my personal finance checklist series. Budgeting can be done easily without getting stressed. It is not as difficult as it is perceived to be. A little bit of understanding on what to focus on at every season of your life would help you manage your budget easily. I will start out by sharing with the dictionary definition of a budget, some anecdotes from my past, insights on how I used to budget, and how my budgeting as evolved over time. In my simple words, “budget is a money plan”. When you create a budget, you are basically creating a plan – the plan describes where and how much you are going to spend your money on. For example, if I had $100 budgeted for entertainment for the month, I would stay at or below $100 allocated budget for the month. When you work on any project, you need a project plan. You start out by creating a plan – the plan needs to be executed, progress tracked, course corrections made along the way, and then the overall plan refined as you learn from your mistakes. Budget works the same way. While this is true, what is your primary motive? I started budgeting when I was dead broke – my main goal was to get out of credit card debt. So I used budget as a tool – tracked every dime I spent and ensured that my spending was slightly below my budget allocation – to meet my end goal of paying off my credit card debt. By the end of the month, I always had a surplus beyond my planned monthly savings that I used to pay off my credit cards. Over the years, my focus has shifted – now my focus is on saving for retirement, saving for children’s college education etc. So I use the budget effectively to maximize my savings. When I was in high school, I had a very smart physics teacher. He was nice guy and felt bad handing out bad grades. As part of the physics laboratory exam, we had to take an oral exam which would go into our grade. For students who weren’t doing well, he would say – I want to be gracious and make it easy for you – you ask yourself five questions in physics and answer them correctly, and I will give you full credit for your oral exam. The sad truth is the students wouldn’t give the right answer to the questions they would ask themselves and still ended up getting poor grades on their oral exam. The same analogy can be applied to budgets. It is your money plan. How successful you are depends on how well you stick to the plan you created. Managing a budget is equivalent to managing your spending behavior. You will need to start somewhere – having a budget and tracking it will help you learn about yourself and point to areas where you could improve. You correct your mistakes, refine your budgets, and continue repeating the process. 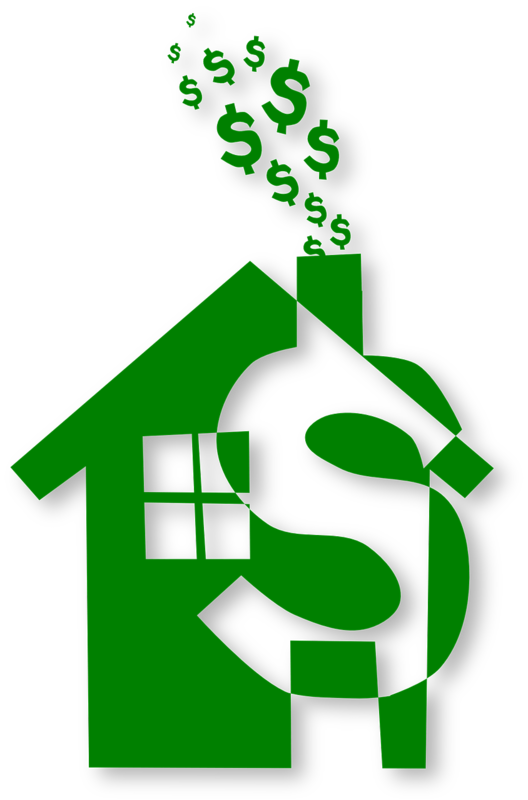 When I look at my expenses, there are fixed expenses – mortgage, property taxes, etc. Then there are variable expenses like eating out, entertainment etc. First thing I aspire to do is to keep the fixed costs as low as possible – these are long term commitments, once you are in, you are in! The variable expenses are more easily managed – you could cut it down at your whim! I manage my budget the old fashioned way on an Excel spreadsheet. I forecast my income and expenses for the whole year in an Excel spreadsheet. Then I evaluate how much I can save on a monthly basis and how much I can save for the whole year. Based on my analysis, I automate my savings – basically money goes into savings / investment straight out of my paycheck first. What is left in my checking out is what I use for our living expenses. Some times life does throw a curve ball – an unexpected emergency – in which case, I dip into the emergency funds and replenish it as quickly as possible. On a monthly basis, I check my expenses. For recurring expenses, I try to find deals / discounts, and try to negotiate on almost anything. It has almost become a fun activity for me. If I can get a service for less than what I had budgeted for, whatever I saved goes right into my savings / investments. I also use the monthly review to weed out unnecessary expenses and things that I can do without. There are so many tools and apps (Mint, PocketGuard, You Need A Budget, Personal Capital ) available these days to help you with budgeting. Whichever tool or method you use, the key thing is to stay disciplined and stick to it. Spending 15 minutes every weekend reviewing if your spending is aligning with your budget is an easy thing to do. At the end of the month, tally your accounts and see how well you did against your budget plan. Learn from it, change your spending behavior, refine your budget, and repeat the same process again. Do you have a budget? What tools do you use to manage your budget? What are the reasons if you don’t have one? I use Excel, in the past I used to do it on paper. I automate savings as soon as I receive the paycheck; I pay my bills online and pay in time (haha, sometimes I miss them); I estimate the weekly grocery expenses, a fun section, and a buffer for emergencies. If nothing bad happens, everything goes to saving. Any unspent money goes into the saving account. Welcome back, Claudia! Nice to see that you have a nice budget recipe that works for you. Budgets are indeed very important. I learned a way of budgeting called the Zero Budgeting where you budget your income till you reach zero. It is kind of fun and I use it till today. As for tools I have tried some apps like You Need A Budget but I find myself using my note book. Yes, “Zero Budgeting” is a very effective. I am so glad to see that you are using it. I have not used You Need A Budget. However, I have heard and read nice things about it. As for me, I am old-fashioned and for the time being sticking to my spreadsheet. you seem to be doing great with your budget. are not good for the budget and get in debt . Welcome back, Erika! Nice to see you back again. Thank you for your compliment. I agree, budgets must be realistic and help one stay financially organized and not be a stress factor in life. I believe that budgets are of the utmost importance regardless of whether, or not, money is tight. A budget keeps you focused and realistic while protecting you from making poor choices that do not support your greater vision. Welcome back, Dr. Elise! You pretty much summed up my 1000 word post in less than 50 words :). You are absolutely right about that. I see so many people having no budgets and no financial accountability. If you don’t have a budget, how do you hold yourself accountable? The scary thing is governments these days are acting the same way. I completely agree, Michael, and we expect our Governments to set an example – fine example! Thanks for writing a post on Budget. I am also going to check the apps you shared for budgeting.